You need to build an email or newsletter for your Marketing campaign, and wonder how to make use of this. Thousands of businesses are crying out after investing millions using third party mail stream providers, which do not allow you to create and customize your emails or newsletter. You need a plugin that makes it super easy to create forms and send massive emails from your database. ET Mailing is your point. 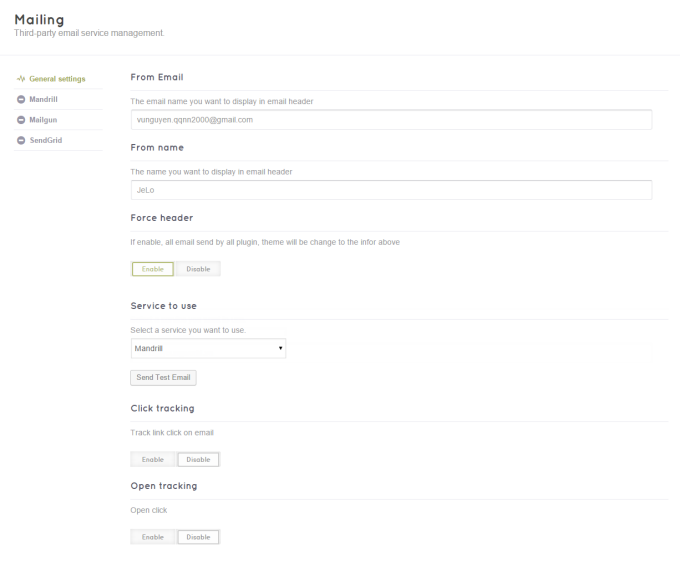 With 3 SMTP mailstream tools integrated in this extension, you could be able to target customers precisely and control what will be sent to them. Here below is things that you have to know before using this wonderful extension. SendGrid is the world's largest Email Infrastructure as a Service provider. The email delivery service moves 2% of the world's non-spam email (over 14 billion emails/month) for more than 180,000 companies including technology leaders like Pinterest, Spotify, and Uber. 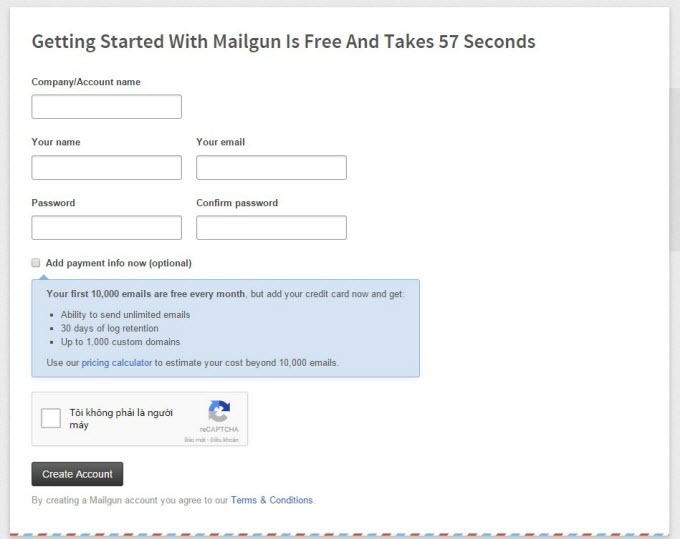 Quota : Send up to 400 emails a day (12,000 emails a month), no credit card needed, no expiration. After your first installation of this plugin, you have to set up the general configuration for ET Mailing. 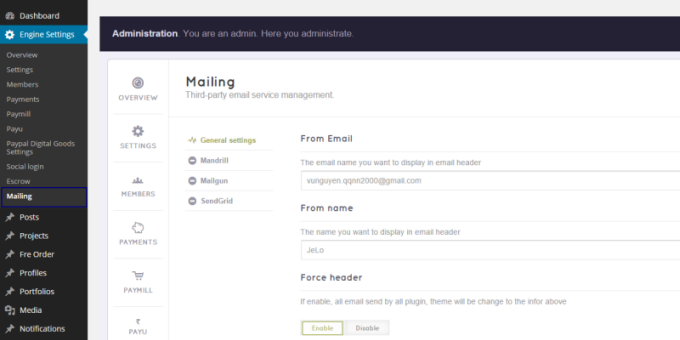 In General Settings tab, you could configure default email sending information for your website. 2. Similar to From Mail, From Name will be sender’s name or organization. 3. Some themes allow you to customize sender’s email or sender’s name in email header setting. So these 2 things are changeable. If you want these setting unchanged for all emails, Enable this features. 4. Choose your wanted service. Remember to update API information for each service. Learn more about this in the next section. 5. This part is for your testing the performance of these services. 6. Tracking feature allows you to summarize link – clicking metrics. You could also see this in your email service’s dashboard. 7. Similar to Tracking, this helps you know how many emails are open and read. All settings will be saved automatically after you fill in information. Here's the instruction guiding you how to set up the API based on the service you've chosen: Mandrill or Mailgun. Fill in your email and password then finally complete your registration. 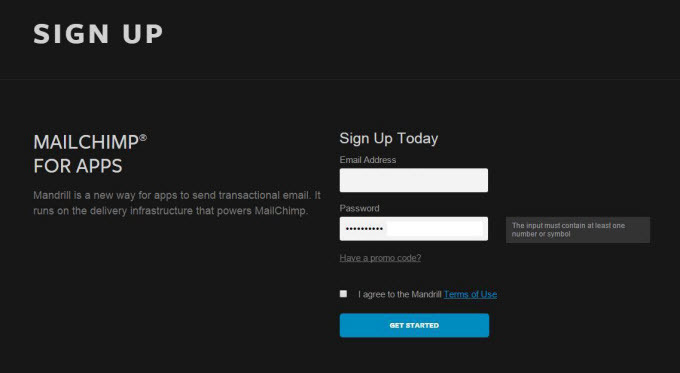 Following the instruction on Mandrill page, check your email for account activation. Then your account is ready to use. 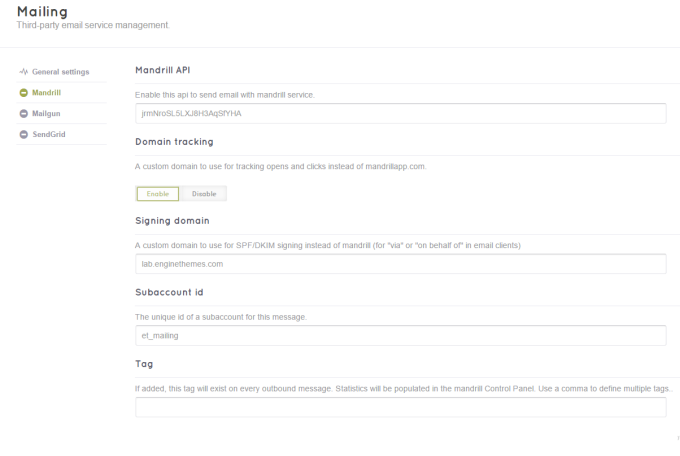 Access to https://mandrillapp.com/settings and click New API Key button to create API Key. 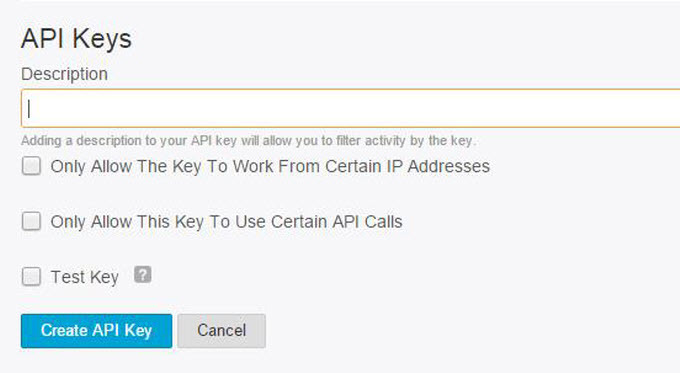 Fill in the required information as above and create API key. If you check the box “Test Key”, your email sent by this API key will not be successful because this is simulator and testing only. Back to your dashboard and enter your API key. If you need to create subaccount, tab, please contact Mandrill. 4. Use our pricing calculator to estimate your cost beyond 10,000 emails. After successful registration, log in your account, access your dashboard and get API key. Similar to those 2 above.